Now the scene is changed. For almost thirty years the mortality of Thomas Jefferson has reposed under the mold, in the margin of the grand old forest which wraps the northwestern slopes of Monticello in its solemn shadows. Of all those who once listened to the music of his voice, and followed with delighted vision the sweep of his finger as he pointed to the magnifi­cent mountains, the rolling plains garnished by the tiller's hand, the winding river, and the vast expanse of woods and fields which spread out in panoramic beauty and grandeur around Mon­ticello, few now remain to charm the generation of today with reminiscential narratives. Like the Great Patriot, their bodies are earthed, their spirits are enskied, and their experiences have become traditional or historic. The idol is re­moved, and the tooth of time has marred the beauty of the shrine. Yet pilgrimages thither have not entirely ceased. The motives which prompt the journey are unlike those of former years; now the worshiper hears only the empty offerings of laudable curiosity. For this no harsh word should be spoken, for such motives are harmless. But too often the curious visitor de­parts with the guilt of sacrilege upon his soul. 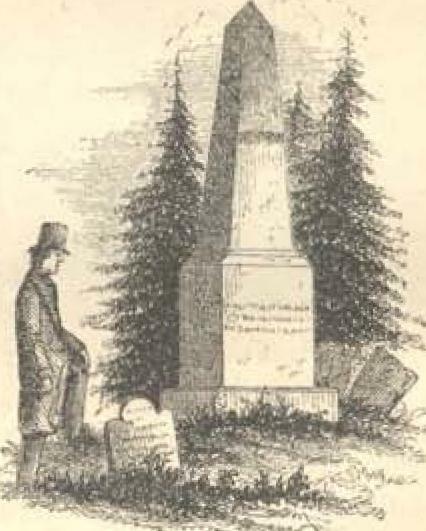 With Vandal hand he frequently defaces some fair specimen of the Patriot's taste, and even breaks fragments from the granite obelisk over his grave. In many a private cabinet are "rel­ics from Monticello;" a fragment from the mon­ument, a splinter from the delicately-carved cornice, a brick from the foundation, or a piece of putty from a window-pane, broken, perhaps, dur­ing the absence of the owner, to procure it. The sight of these should make the possessors blush for shame, for of all petty thieving, this seems the meanest, and without excuse. Such depredators should be regarded with contempt akin to hatred. Prompted by the laudable curiosity alluded to. I turned aside at Richmond, while journeying southward, and visited Monticello in blustery March, when the buds were just bursting, and the blue birds were singing their first carols in the hedges. No longer compelled to traverse the hills and valleys along the James River and the muddy Rivanna, on horseback or in chaise as in former times, I entered the railway coach at sunrise with the assurance of seeing Mon­ticello at meridian, after sweeping across the chief tributary of the Pamunkey, and traversing a country of varied aspect for more than thirty leagues. Rain was falling copiously. A few miles from Richmond we encountered a freight-train off the track, and the locomotive half-buried in mud. We were compelled to walk a plank, and flounder twenty rods along a narrow causeway through yellow-clay almost ankle deep, to another train beyond or return to the city. As Americans never retrograde the ladies gath­ered up their skirts, and the gentlemen walked as daintily as cats among eggs, to the coach in waiting. Soon all was forgotten, except by a poor fellow who volunteered his assistance to a young woman "walking the plank," when his gallantry and comfort both ended in the ditch below, into which he slipped, and filled a boot with as much mire as his leg would allow. The young lady (fie upon her!) more than smiled upon, him, and with due independence helped herself along the muddy dyke, and into the best seat in the car beyond the wreck. The victim cursed the girl, the ditch, and the railway, with great unction. The pert girl made the unchrist­ian excuse for her giggle in his hour of peril "I didn't ask him to help me!" Within an hour after passing the junction in Hanover County we left the flat country and penetrated the more fertile and hilly region of Louisa and Albemarle, lying along the base of the Southwest Mountain. At Cobham Station, we had a glimpse of the residence of the Hon. 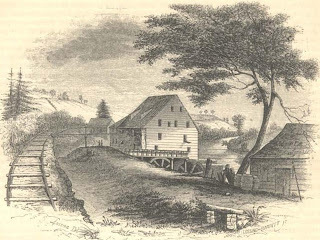 William C Rives, our minister to the French Court; and soon afterward reached the Shad-well Station, on the Rivanna, close by the pic­turesque old mill, once owned by Mr. Jefferson. From this point we had a fine view of Monticel­lo looming up on the southwest, and caught slight glimpses of the white columns of the por­tico of the mansion on the summit. The clouds had now broken, and all over the thoroughly-saturated earth myriads of water-pools glittered in the sun. AND FATHER OP THE UNIVERSITY OF VIRGINIA. This tablet has been taken from the monu­ment and placed in the mansion, out of the reach of depredators. Upon each of the sides of the monument is a grave, covered with a marble slab. One (on the right) is that of his wife, Martha, who died in 1782, ten years after their marriage. The other two graves are those of his favorite daughter Martha Wayles Randolph, who survived him, and an­other daughter, Maria Eppes, who died before him. "The Mansion House at Monticello was built and furnished in the days of his prosperity. In its dimensions, its architecture, its arrangements, and ornaments, it is such a one as became the character and fortune of the man. It stands upon an eliptic plain, formed by cutting down the apex of a mountain; and, on the west, stretching away to the north and the south, it commands a view of the Blue Ridge for a hundred and fifty miles, and brings under the eye one of the boldest and most beautiful horizons in the world: while, on the east, it presents an extent of prospect bounded only by the spherical form of the earth, in which nature seems to sleep in eternal repose, as if to form one of the finest contrasts with the rude and rolling grandeur on the west. In the wide prospect, and scattered to the north and south, are several detached mountains, which contribute to animate and diversify this enchant­ing landscape; and among them, to the south, Willis's Mountain, which is so interestingly de­picted in his Notes. From this summit, the philosopher was wont to enjoy that spectacle, among the sublimest of Nature's operations, the looming of the distant mountains; and to watch the motions of the planets, and the greater re­volutions of the celestial sphere. From this sum­mit, too, the patriot could look down with uninterrupted vision, upon the wide expanse of the world around, for which lie considered himself born; and upward, to the open and vaulted heavens which he seemed to approach, as if to keep him continually in mind of his high respon­sibility. It is indeed a prospect in which you see and feel, at once, that nothing mean or little could live. It is a scene fit to nourish those great and high soul-principles which formed the elements of his character, and was a most noble and appropriate post for such a sentinel, over the rights and liberties of man. "Approaching the house on the east, the visitor instinctively paused, to cast around one thrilling glance at the magnificent panorama: and then passed to the vestibule, where, if lie had not been previously informed, he would immediately perceive that he was entering the house of no com­mon man. In the spacious and lofty hall which opens before him, he marks no tawdry and un­meaning ornament; but before, on the right, on the left, all around, the eye is struck and grati­fied with objects of science and taste, so classed and arranged as to produce their finest effect. On one side, specimens of sculpture set out, in such order, as to exhibit at a coup d' ail, the his­torical progress of that art, from the first rude attempt of the aborigines of our country up to that exquisite and finished bust of the great patriot himself, from the master hand of Cer­acchi. On the other side, the visitor sees dis­played a vast collection of specimens of Indian art, their paintings, weapons, ornaments and manufactures; on another, an array of the fossil productions of our country, mineral and animal, the polished remains of those monsters that once trod our forests, and are no more, and a varie­gated display of the branching horns of those "monarchs of the waste" that still people the wilds of the Western continent. From this hall he was ushered into a noble saloon, from which the glorious landscape of the west again burst upon his view; and which, within, is hung thick around with the finest productions of the pencil - historical paintings of the most striking sub­jects from all countries, and of all ages; the por­traits of distinguished men and patriots, both of Europe and America, and medallions and en­gravings in endless profusion." Alas! 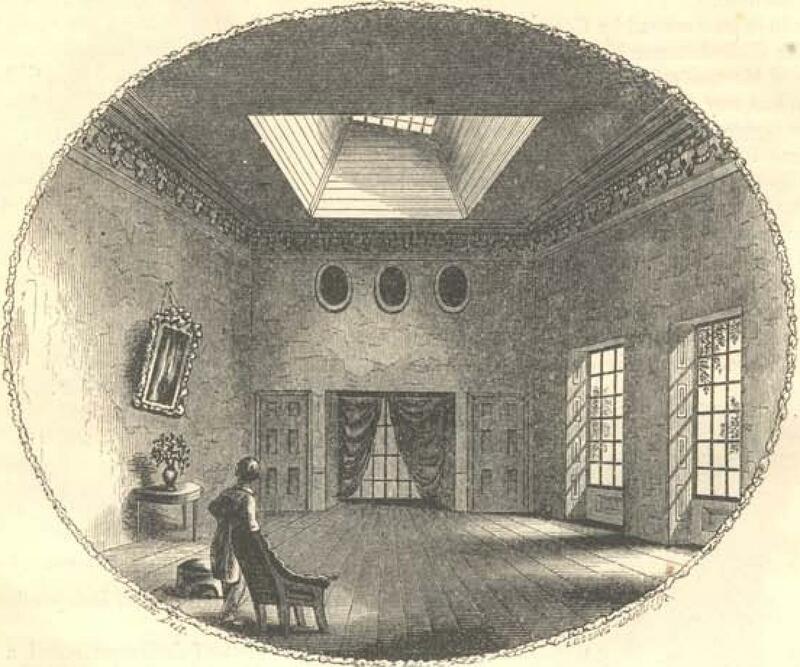 This charming picture of the interior of Monticello is only a picture note - it has no counterpart in reality. Those Indian relics, the sculptures and paintings, the fossils and minerals, have long since been removed and scattered; and nothing now remains at Monticello of all that fine collection, but a bust of Voltaire. The beauty and grandeur of the aspect of nature around are undiminished; and never did my heart beat with stronger pulsations of delight in gazing upon a prospect of the material world, than on that sunny afternoon in March, although the hills and val­leys were clad in the melancholy russet and sober gray of departing winter. Yet there remained the lofty summits of the Blue Ridge, leading the eye away northward, almost a hundred miles to Harper's Ferry, where the Potomac bursts through; and in the rolling valley in that direc­tion reposed the pretty village of Charlottesville, with its fine architectural pile - a monument of Jefferson's taste and patriotism - the University of Virginia. A little further westward is Lewis's mountain, upon a spur of which is the observa­tory of the University; and half a mile eastward of the village, between it and the Rivanna, near a grove of pines, was depicted in delicate green, the meadow where Tarleton was encamped an hour before sending a detachment up the Rivanna to seize the Governor. Four or five miles be­yond, toward the Blue Ridge, arose Still-House Mountain, a wooded eminence where the captive troops of Burgoyne were encamped for many months. Three miles eastward of Monticello, among the hills of Shadwell, is the birth place of Jefferson; and upon the Rivanna, which courses along the base of Monticello, and is lost to view among the adjacent hills, is the old Shadwell mill, delineated on another page. Turning southward, Willis's Mountain, a solitary peak in Buckingham County, beyond the James River, fifty miles distant, arose above the level country around. An extensive view in every direction is broken only by the higher summit of Carter's mountain, half a mile southwestward, which rather appreciates than diminishes the charm of the whole picture. In the same range of hills, ten miles northward, is Montpelier, the residence of President Madison; and three or four miles southward is Indian Camp, once an estate of President Monroe. Monticello is now owned by Commodore U. P. Levy, of the United States Navy, who is also the proprietor of Monroe's estate. His winter resi­dence is in the city of New York. Fortunately for me, he arrived at Monticello on the day of my visit, and I had the pleasure of viewing the house and grounds while partaking of his hospi­tality. The elements have changed the aspect of the exterior somewhat, but in general appear­ance it is the same as when Jefferson left it. The interior, likewise, remains unchanged, ex­cept in furniture and other movables. In the "spacious and lofty hall" only one object of the sculptor's art remains. 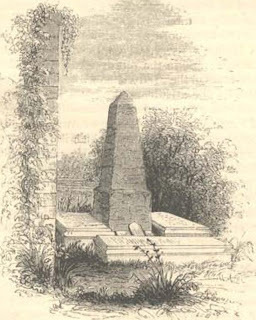 It is a model, in plaster, of the capital, composed by Mr. Jefferson for a new order of architecture, purely American, in which the column was to consist of a group of maize or Indian corn stalks. The capital has the same general form and style as the Corinthian, but the ornaments are composed of the leaves and blossoms of the tobacco plant, regu­larly grouped, instead of the acanthus. Near the capital, upon a pedestal, stood a bust of Jefferson in plaster, made in the same mold in which was cast the fine, life-size, bronze statue of the Patriot, which now stands in front of the executive mansion at Washington. That statue is from the atelier of the celebrated David, of Paris. It was made for Captain Levy, at a heavy cost, and presented by him to the United States about twenty years ago. It was modeled chiefly from an excellent portrait of Jefferson by Sully, in the possession of La Fayette, and passed the ordeal of that venerated patriot's criticism. When completed, he pronounced it a most faithful counterfeit of the man. Upon the scroll, held in the hand of the patriot the whole of the Declaration of Independence is engraved. Near the bust of Jefferson stood a beautiful model of the Vandalia, the first ship in our Navy in which flogging was abolished, while she was under the command of Captain Levy. Upon the wall, close by, is a fine portrait of Madame Noel (an aunt of Captain Levy, and also of the late Major Noah, the veteran New York editor), wife of M. Noel, a member of the National Assem­bly of France, who was guillotined during the Reign of Terror. She was afterward a tutor of the Princess Charlotte of England, in a pe­culiar style of flower painting. The portrait was painted by Sir Joshua Reynolds. Two or three more modern paintings adorn the walls of the hall. Over the entrance door from the por­tico, is a large clock, placed there by Jefferson, which, by an index upon the wall, indicated the days of the week. The weight which propels it is composed of nine eighteen pound cannon balls. The hall itself is about thirty feet square, with high ceiling and a music gallery. The center of the ceiling is ornamented by an eagle in very low relief, surrounded by eighteen stars, the number of the States of the Union in 1812, when this ceiling was made. The heavy, richly-wrought cornice, carved in wood, in this and the other rooms, all exhibit a line of ornament at the base, representing ancient sacrificial imple­ments. Adjoining the hall is the saloon where Jef­ferson entertained his visitors. It is a superb room, about the size of the hall, with a very high ceiling, and a beautiful tesselated floor, made of inlaid satin-wood and rose-wood. This floor, which was kept polished like a table, cost two thousand dollars. Of all the rare pictures and other ornaments which once adorned the walls, nothing now remains but two mirrors, four and a half by twelve feet in size. They hang, one upon each side of the door opening into the hall. Over the door is the gilt bracket or crane, upon which hung the chandelier that lighted the room. 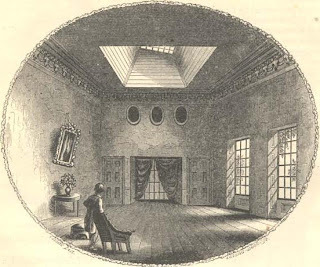 On the southeast side of the hall and saloon is Jefferson's bedroom (delineated in the engraving), which was also his most private apart­ment for study, and contemplation. It is lighted by two windows on the southwest, and a sky­light. 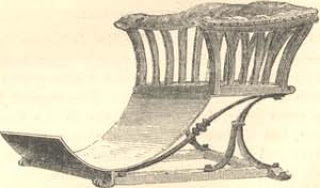 The bedstead was only a frame, hung upon hinges and hooks in the recess, seen in the center. It could be turned up in the day time, and afford a passage through glass doors, to his library in the adjoining room. The three oval openings in the wall were for the purpose of admitting light to a wardrobe over the recess. On the northwest side of the hall and saloon is the tea-room, which contains a most delicately carved white marble chimney-piece ornamented with three exquisite basso relievos, upon a sky-blue ground. Adjoining this apartment is one in which he held private conference with his friends. It is separated from the tea-room by double glass doors, so that, while the party in secret communication could be seen by guests in the other room, not a word could be heard. In this room was the bust of Voltaire, alluded to. The sashes of these glass doors, like those of all the windows in the house, are of mahogany, and were made in Philadelphia. The stairs are all winding and very narrow, not more than two feet wide. On the northeast part of the second floor is a chamber of hex­agonal form, wherein Mr. and Mrs. Madison were lodged whenever they visited Monticello. Except his own immediate family, these were the dearest friends of Mr. Jefferson. From this floor another flight of stairs lead to the upper chambers, adjoining which is a spacious hex­agonal room under the dome, lighted by circular windows on the sides. This was used for a billiard-roam. In it was an interesting memento of the statesman. It was the body of the chair or gig, a two-wheeled vehicle, in which Jefferson rode from Monticello to Philadelphia, to at­tend the Continental Congress in 1775. Near this hung his holsters, in which he carried a pair of pistols when traveling on horseback. The shade trees which form an open grove around the mansion were planted by the Patriot himself. Among them, standing near the south­ern end of the building, is a venerable Lombardy poplar (seen on the extreme right of the picture at the head of this article), which he imported from its native soil in Europe. From this have sprung all the trees of that species in this coun­try. It has flourished there for about sixty years, and unlike many of its descendants, appears to retain the vigor of its youth. We have considered the home of the AUTHOR OF THE DECLARATION OF INDEPENDENCE; let us contemplate briefly the man, his career, and compatriots. The ancestors of Jefferson came to America from the foot of the lofty Mount Snowdon, in Wales. His father married the daughter of Isham Randolph, of Goochland, Virginia, whose blood was chiefly Scotch; and Thomas, their first child, was born on the estate of Shadwell, in Albemarle county, on the 13th of April, 1743. His father died and left him, with a brother and six little sisters, to the care of his mother. 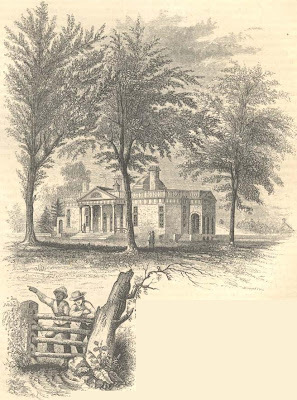 They were blessed with a handsome estate, a part of which, called Monticello (Montechello - little mountain), fell to Thomas when he reached his majority. He was two years a student in Will­iam and Mary College, at Williamsburg, where Doctor William Small first prepared his mind for the love of scientific pursuits, and gave it its democratic bias. In 1762 he commenced the study of law with George Wythe; and while yet a student, in 1765; he heard Patrick Henry's celebrated speech in denunciation of the Stamp Act. It aroused all the fire of patriotism in the soul of young Jefferson, and from that time he stood forth the avowed champion of American freedom. Four years afterward he became a member of the Virginia House of Burgesses, and was an active colleague of the patriots of the Old Dominion, in the General Assembly, until the Revolution broke out. In 1772 Mr. Jefferson married Martha Skelton, a daughter of John Wayles, an eminent lawyer, and then a wealthy widow of twenty-three years. He soon afterward cut down the apex of Mon­ticello, made bricks of the red clay, and erected the noble mansion upon its summit. But he was not allowed to enjoy the sweets of married life in retirement; his country had a noble work for him to perform, and she called him to the arena of political strife. He held a ready and powerful pen, and as a member of the Commit­tee of Correspondence in 1773 and '74, and by pamphlets and newspaper essays, he scattered the seeds of revolution broadcast over the land. 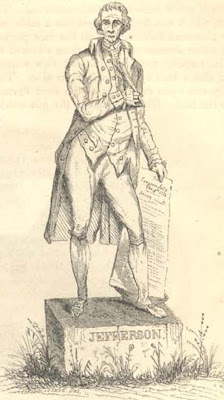 A pamphlet from his pen, written in 1774, en­titled, "A Summary View of the Rights of Brit­ish America," displayed such patriotism and political acumen, that Edmund Burke published it in London, and it won for the author the honor of having his name, with more than a score of others, placed on a list of attainder. At home he became the object of hatred by the royalists, and of love by the patriots. Jefferson was elected to a seat in the Conti­nental Congress in 1775, and five days after his arrival in Philadelphia, we find him one of an important committee, appointed to prepare a declaration of the causes of taking up arms. A large portion of their manly and vigorous report was from his pen. He labored assiduously in that body; and when, the following year, Con­gress appointed a committee to frame a Declara­tion of Independence, he was chosen one of them. Notwithstanding he was the youngest member of the committee, being then only thir­ty-three years of age, he was selected to write the instrument, "because," says John Adams in his autobiography, "he had the reputation of a masterly pen," and "had been chosen a dele­gate in Virginia, in consequence of a very hand­some public paper which he had written for the House of Burgesses, which had given hint the character of a fine writer." Jefferson wrote the Declaration of Independence at his lodgings, in the House of Mrs. Clymer, on the southwest corner of Seventh and High-streets, Philadel­phia. The committee had several meetings; the draft was discussed, and some portions of it altered, and finally, on the fourth of July, 1776, it was adopted by the representatives of the people in Congress assembled. The resolu­tion of Richard Henry Lee, one of Mr. Jeffer­son's colleagues from Virginia, which declared the colonies "free and independent States," was adopted two days before; it was only the precise form of declaring it to the world that was adopt­ed on the fourth. Soon after placing his signature to the Dec­laration of Independence, Jefferson resigned his seat in Congress, returned to Virginia, and was active in the public affairs of his native State until the close of the war. For about two years he was engaged with George Wythe and Ed­mund Pendleton, in revising the laws of Virginia; and to him belongs the imperishable hon­or of first proposing, in the Legislature of Vir­ginia, the laws forbidding the importation of slaves - converting estates tail into fee-simple - annuling the rights of primogeniture - establish­ing schools for general education, and confirm­ing the rights of freedom in religious opinion. While the captive troops of Burgoyne were quartered in his vicinity in 1779 - 80, Mr. Jeffer­son endeared himself to them by his benevolence. Monticello was the daily resort of the captive officers, who had free access to his library, and often partook of the bounties of his table. He was elected Governor of the State in 1779, and held the office two years. It was a period of great trial for Virginia and its chief magis­trate. During his administration, the traitor, Ar­nold, invaded and laid waste the country along the James River, as far as Richmond; and Corn­wallis, crossing the Roanoke, penetrated the State almost to its center. It was in June, 1781, that Cornwallis dispatched Tarleton to cap­ture Governor Jefferson at Monticello, and also the members of the legislature, then in session in Charlottesville, in a building upon the site of the present Farmer's Bank of Virginia. While passing through Louisa county, a farmer, sus­pecting Tarleton's design, mounted a fleet horse, reached Charlottesville in time to give the alarm, and when the British cavalry dashed into the town, only seven members, who could not pro­cure horses, were made prisoners. Mr. Jeffer­son was not aware of the proximity of Tarleton, until a detachment under Captain M'Leod, sent to capture the Governor, had crossed Moore's Creek, and was seen pushing up the winding road to Monticello. The Governor was entertain­ing several members of the legislature at break­fast when the danger was perceived. Among them was the Speaker who immediately hasten­ed to Charlotte by another way, and adjourned the Legislature to meet at Staunton. Jefferson hurried his family into a carriage, and they were driven to Colonel Carter's, six miles southward, and then, mounting a horse, he fled to the dark recesses of Carter's mountain, before M'Leod reached the entrance-gate at the gap. A trusty servant, who remained behind, raised a loose stone (which yet occupies its place) at the west­ern entrance to the saloon, and deposited the Governor's papers there. Ten minutes after Jefferson had left, M'Leod rode up. 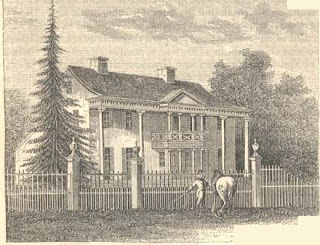 It was well for the patriot that it was not Tarleton, for in his rage at being foiled of his prey, he would probably have burned the mansion and its con­tents. M'Leod allowed nothing to be injured. Without his knowledge, some soldiers got into the cellar and drank and wasted a large quan­tity of wine. This was the extent of Jefferson's loss. Thirty-six hours afterward, Tarleton left the vicinity, laid waste a plantation belonging to Mr. Jefferson at the Point-of-Fork, at the mouth of the Rivanna, and joined Cornwallis on the James River. A few days after this event, Jefferson, having declined a re-election, was succeeded by General Nelson, of Yorktown, and sought repose from public duties in his home at Monticello. In re­ply to Marbois, the Secretary of the French Le­gation in this country, concerning the resources of Virginia, Mr. Jefferson, about this time, penned his celebrated Notes on Virginia. Suddenly a cloud gathered around the brow of Monticello - the beloved wife of the statesman sickened and died. The heart of the patriot was terribly stricken, and for many days life was intolerable to him. He was aroused to action by the voice of his country again calling him to duty, and in December, 1782, he made an eight days' journey to Philadelphia, to proceed to France to assist the American Commissioners in negotiations for peace. Intelligence of the signing of a provi­sional treaty came in time to prevent his depart­ure, and he returned to Monticello in May. He was immediately elected to a seat in the Conti­nental Congress, and reached Trenton on the day when it adjourned to Annapolis. 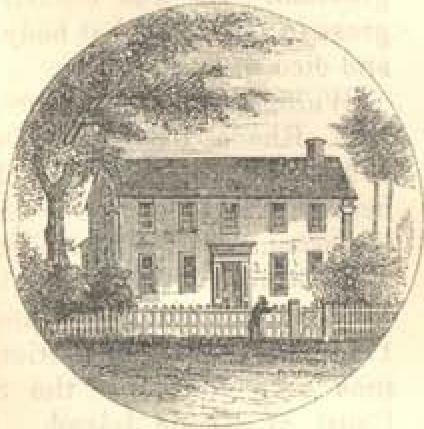 Ho wrote the address of Mifflin (president of Congress) to General Washington, when the Father of his Country resigned his commission, on the 23d of December, 1783. On that day he saw the glo­rious termination of that struggle in which, for ten years, his whole being had been engaged. In 1784, Mr. Jefferson was appointed, with Adams and Franklin, a Minister to negotiate treaties with foreign nations. In company with his eldest daughter, be reached Paris in August. Dr. Franklin having obtained leave to return home, Jefferson was appointed to succeed him as Minister at the French court, and he remained there until the autumn of 1789. He became ex­ceedingly popular there, and the literati endeav­ored to persuade him to remain. He expressed his patriotic feelings when he said, in a letter to Baron Geismer, "I am savage enough to prefer the woods, the wilds, and the independence of Monticello, to all the brilliant pleasures of the gay metropolis of France. I shall, therefore, rejoin myself to my native country, with new attachments, and with exaggerated esteem for its advantages; for, though there is less wealth there, there is more freedom, more ease, and less misery." 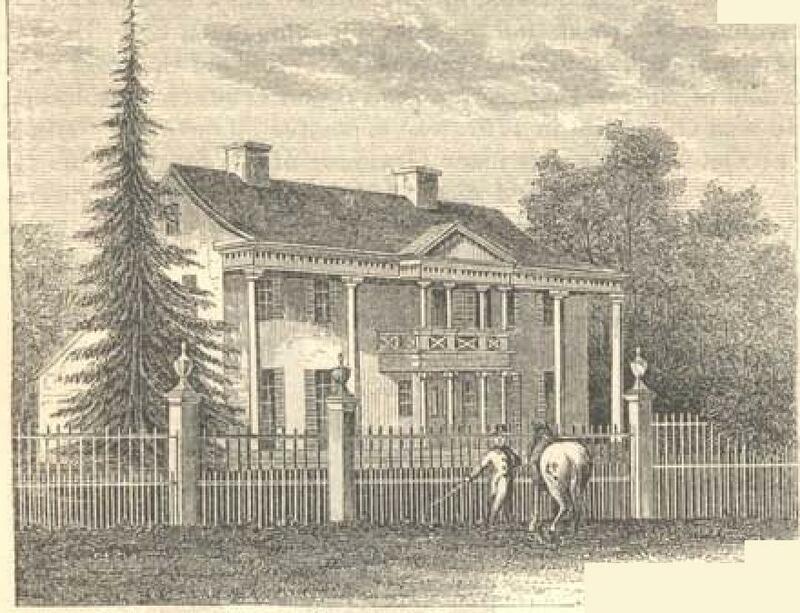 Mr. Jefferson left home on the 8th of October, and thirty days afterward arrived at Norfolk After passing some days at Chesterfield, with his brother-in-law, Mr. Eppes, he proceeded, by easy stages, to Monticello. His arrival is thus graphically described by his daughter, afterward Mrs. Randolph. "The negroes discovered the approach of the carriage as soon as it reached Shadwell, and such a scene I never witnessed in my life. They col­lected in crowds around it, and almost drew it up the mountain by hand. The shouting, etc., had been sufficiently obstreperous before, but the moment the carriage arrived on the top, it reached the climax. When the door of the car­riage was opened, they received him in their arms, and bore him into the house, crowding around, and kissing his hands and his feet - some blubbering and crying - others laughing. It appeared impossible to satisfy their eyes, or their anxiety to touch, and even to kiss the very earth that bore him. These were the first ebul­litions of joy for his return, after a long absence, which they would of course feel; but it is per­haps not out of place to add here, that they were, at all times, very devoted in their attachment to him. They believed him to be one of the greatest, and they knew him to be one of the best, of men, and kindest of masters. They spoke to him freely, and applied confidingly to him in all their difficulties and distresses; and he watched over them in sickness and in health; interested him­self in all their concerns; advising them, and showing esteem and confidence in the good, and indulgence to all." While on his way from Norfolk, Mr. Jefferson received a letter from President Washington, re­questing him to take a seat in his Cabinet as Secretary of State. He accepted the appoint­ment, and in March, 1790, set out for New York, the seat of the Federal Government. Although differing with Washington in some of his polit­ical views, he remained in the Cabinet during the stormy period of the first administration. Thoroughly imbued with democratic principles, and deeply sympathizing with the republicans of France, he became the founder and head of the Democratic party here, and was elected by them President of the United States in 1800. He was Chief Magistrate of the nation eight con­secutive years, and was succeeded by his friend Madison in 1809, when hostilities with Great Britain were daily menacing the peaceful pros­perity of the two countries. After seeing Mr. Madison inaugurated, Jeffer­son retired to Monticello, never more to engage in public life, and the remaining seventeen years of his earthly existence were spent in philosoph­ical and agricultural pursuits, and in efforts in the cause of education. Under his auspices the University of Virginia, located at Charlottesville, was founded. The plans of the buildings, even in the minutest particulars, are his, as well as the general laws for the government of the school and the system of instruction. When the weather permitted; he made a personal inspection daily, of the University buildings, while in course of erection, and when compelled to remain at Mon­ticello, he watched the workmen with a small telescope. It was the deeply-cherished fester-child of his declining years, and now, with its four hundred and fifty pupils, is a noble monu­ment to its patriotic founder He was indeed the Father of the University of Virginia." The evening of Mr. Jefferson's life was clouded by pecuniary embarrassments. His estate at Monticello consisted of 5682 acres, with 113 slaves. Another estate at Poplar Forest, Bed­ford, contained 4164 acres, and 85 slaves. From the time of the Embargo, in 1807, until the close of the war in 1815, the products of landed prop­erty were at their minimum in this country; and as his estates had been managed by overseers while he was devoting his time to public busi­ness, they not only failed to pay expenses, but debts were incurred in their management. The mills at Shadwell, and the canal and locks there (the remains of which may yet be seen) had cost him about thirty thousand dollars. In such a bad condition were his estates when he retired from the Presidency, he was compelled to borrow ten thousand dollars to pay his debts. His expenses were very heavy, on account of the liberal hospitality ever bestowed upon all who visited Monticello - and their name was legion - and, instead of diminishing, his debts increased. Matters were finally brought to a crisis when the insolvency of his friend, Governor Nicholas, for whom he had endorsed, added twenty thousand dollars to his liabilities. In this extremity, the Legislature of Virginia permitted him to sell a part of his lands by lottery, in order to pay his debts, and retain Monticello. The announce­ment of his embarrassments produced great sur­prise, and created deep sympathy throughout the Union It was thought more consistent with national gratitude to relieve Mr. Jefferson with­out his being deprived of his patrimony; and the initial step was taken by the late Philip Hone, of New York, than mayor of the city, under whose auspices eight thousand five hundred dol­lars were raised. Money was raised in other cities - in all about seventeen thousand dollars. The sum was totally inadequate, and this well-intended movement resulted in suppressing the promising lottery scheme, and total failure en­sued. The life of the patriot was now drawing to a close; and on the fourth of July, 1826, he expired, at the ripe age of eighty-three years. On the same day, his friend and colleague in the Continental Congress, John Adams, also died. It was just fifty years after they voted for the Declaration of Independence; and the coinci­dence of their deaths produced a profound sensa­tion throughout the land. Eulogies were everywhere pronounced; the harsh voice of party-spirit was hushed; and the names of the two patriots, so widely separated in political opinions during a quarter of a century, are linked in sweet harmony in our memories. The estates of Mr. Jefferson were sold, after his death, to liquidate his debts, and after twice changing owners, the present domain of Monti­cello, including a little more than two hundred acres, passed into the possession of Captain Levy. Monticello ought, like Mount Vernon, to belong to the nation, and every board and brick should be preserved as sacred to the mem­ory of the great departed. When the materials of these venerated dwellings have crumbled into their native dust, then will some future genera­tion, if the patriotism of the past shall survive the temptations of the present, mourn over the insensibility of their fathers, who allowed these precious shrines to fade from human vision. Long ago, the compatriots of Jefferson in the Congress of 1776, have, one by one, gone down into the grave like stars in the western sky. The last bright luminary of the constellation that lingered above the horizon, was Charles Carroll of Carrollton who left our firmament twenty years ago. They have set, never to rise again in the heavens of our national destiny, ex­cept by the refractive power of memory. We cannot too often revive the recollection of their glorious deeds and manifold virtues; and it is not inopportune, at this season of our national anniversary, and in connection with mementoes of the Sage of Monticello, to point anew to their names upon the record of our wondrous history. We have space to do little more than name them, and speak of their nativity and their obituary. We will do it in the order in which they were called upon to sign the Great Manifesto. Josiah Bartlett was a physician, born at Ames­bury, Massachusetts, in November, 1729. He commenced practice at Kingston, New Hamp­shire; became an active politician, a member of the colonial legislature, of the Committee of Safety, in 1775, and at the close of that year, a member of the Continental Congress. He was afterward a judge, and then Governor of New Hampshire, and died in May, 1795. William Whipple was a merchant, born at Kit­tery, in Maine, in 1730. He commenced business as a merchant at Portsmouth, in 1759. He was an active republican, and in 1776 was elected to Congress. He was a brigadier of militia in 1777, and was in the battles at Stillwater and Saratoga. He assisted in escorting Burgoyne's captive army to Boston. He was appointed judge in 1782, and died in November, 1785. Matthew Thornton was born in Ireland in 1714, and came to America when three years of age. He was educated at Worcester, Massachusetts, became a physician, and was surgeon in the ex­pedition against Louisburg, in 1745. He was elected to Congress in 1776, and was made Chief Justice of the Court of Common Pleas of New Hampshire, the same year. He was raised to the bench of the Superior Court, and died in June, 1803, in Massachusetts. Samuel Adams was of Puritan descent - born in Boston, Massachusetts, in 1722. He was ed­ucated at Harvard for the ministry, but preferred politics to theology. He was a conspicuous pa­triot for ten years previous to the Revolutionary War. He was a member of the first Congress, and during the whole struggle, was one of the firmest supporters of the cause. He was Gov­ernor of Massachusetts, and died in October, 1803. John Adams was born at Quincy, Massachu­setts, in October, 1735. He was educated at Harvard, became a lawyer, and an active repub­lican politician in Boston. He was elected to Congress in 1774, and was one of the main ad­vocates of the Declaration of Independence in 1776. He assisted in important negotiations abroad, and was the first Minister Plenipoten­tiary sent by the United States to Great Britain. He was elected Vice-President with Washing­ton and President in 1797. He died on the fourth of July, 1826. John Hancock was also born at Quincy, in 1737. He was educated at Harvard, became a Boston merchant, was left a large fortune by his uncle, and was an early and active patriot. He was elected President of the Continental Con­gress in 1775, and occupied the chair when the great Declaration was adopted. He was many years Governor of Massachusetts, and died in October, 1793. Robert Treat Prime was born in Massachu­setts, in 1731. He was educated at Harvard and was a chaplain on the northern frontier in 1758. He became an eminent lawyer, and was elected to Congress in 1774. He was Attorney-general of Massachusetts in 1780, and was made Judge of the Supreme Court in 1796. He died in May, 1814. Elbridge Gerry was born at Marblehead, Mas­sachusetts in July, 1744 - was educated at Har­vard, and prepared for commercial life. He was elected to Congress in 1775, held the front rank in that body on naval and commercial subjects, and in 1797, was appointed an envoy to France. He was made Governor of his State on his re­turn, and died at Washington City in Novem­ber, 1814, while holding the office of Vice Pres­ident of the United States. Stephen Hopkins was born at Scituate, Rhode Island, in March, 1707. He was a self-taught man; was called into public life at mature age; was Speaker of the Rhode Island Assembly in 1754, and was an early opposer of British ag­gression. He was elected to Con­gress in 1774, left that body in 1778, and died in July, 1785. William Ellery was born at New­port, Rhode Island, in December, 1727. He was educated at Harvard, became a lawyer in Newport, won the esteem of his fellow-citizens, and was elected to Congress in 1776. He continued in that body until 1785 and during a portion of the time was Judge of the Supreme Court of Rhode Island. He was the first collector of the port of Newport, and held the office thirty years, and died in February, 1820. Roger Sherman was a shoemaker, born at New­ton, near Boston, in April, 1721. He worked at his trade and studied law; and in 1754 was ad­mitted to the bar, and elected a member of the Connecticut legislature. He was a Judge, first of the Common Pleas, and then of the Superior Court, and in 1775 was elected to Congress. He was one of the committee appointed to draft the Declaration of Independence; and continued in that body until 1789. Ho died in July, 1793. Samuel Huntington was born in Windham, Connecticut, in July, 1732. He was educated at a common school, became a lawyer, and was ap­pointed King's Attorney. He was soon raised to the bench of the Superior Court was elected to Congress in 1775; chosen president of that body in 1779; was appointed Chief Justice of Connecticut, then Lieutenant-Governor, and afterward Governor, and died in January, 1796. William Williams was born in Connecticut, in April, 1771, and was educated at Harvard. He prepared for the ministry, but preferring a mil­itary life, was engaged in the Frontier wars in New York in 1755. He was a member of the Connecticut legislature forty-five years. In 1776 he was elected to Congress, was an active member, and retired from public life in 1804. He died in August, 1811. Myer Wolcott was born in Connecticut, in 1726, was educated at Yale College, became a lawyer, and in 1774 was elected a councilor of State. He was elected to Congress in 1776, sup­ported the proposition for independence, and was an active patriot throughout the war. In 1786 he was Lieutenant-Governor of his State, and ten years afterward was elected Chief Magistrate He died in December, 1797. William Floyd was a lawyer, born on Long Island in December, 1734. He was an opulent farmer, and in 1774 was elected to Congress. He was active during the entire war, and suffered much in loss of property at the hands of the British. He moved to the banks of the Mohawk after the war, and died in August, 1821. Philip Livingston was born in Albany, New York, in January, 1716. He was educated at Yale Col­lege, became a successful merchant in New York, was a mem­ber of the Colonial Con­vention at Albany in 1754, and was elected to Congress in 1776. He was elected senator of his State in 1777, and in June, 1778, he died at York, Pennsylvania, while he was attend­ing to his duties as congressman. Francis Lewis was born in South Wales, in 1713. His education was finished at Westminster, and he entered a mercantile house in London. He came to New York at the age of twenty-one, and being agent for British merchants, was cap­tured and sent to France in 1756. On his return ho became an active politician, was elected to Congress in 1776, and suffered the loss of much property on Long Island during the war. His death occurred in December, 1803. 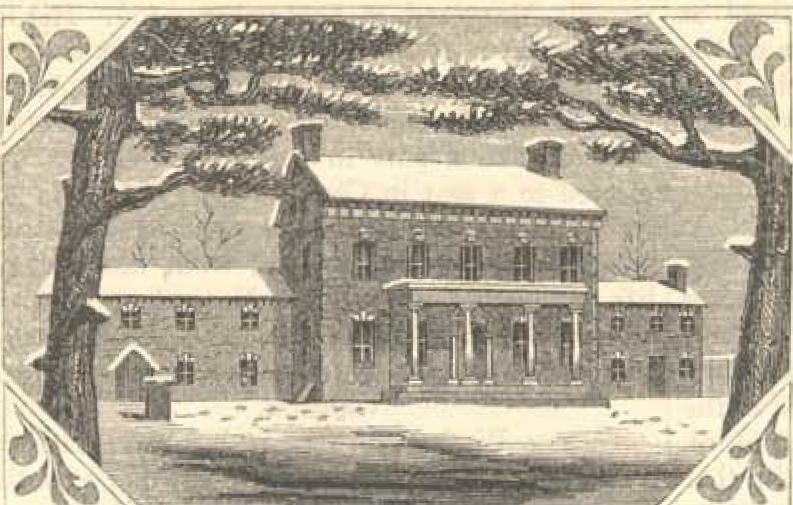 Lewis Morris was born in New York in 1726 He was educated at Yale, and then adopted the pursuit of his father – agriculture - at Morrisania, Lower Westchester County. He was elected to Congress in 1775, and retained his seat two years, when he was succeeded by his brother, Gouverneur Morris. He died in January, 1798. Richard Stockton was born near Princeton, in October, 1730. He was educated at Princeton College, studied law, and rose rapidly in his pro­fession. He was elected to Congress in 1776, and in the autumn of that year, while returning from a visit to the Northern army, was made a prisoner, and treated with much cruelty. He died in February, 1781. John Witherspoon was a native of Scotland, born in 1732; came to America in 1768, to take charge of the college of Princeton; became very popular as a Christian minister and patriot, and in 1776 was elected a member of Congress. He remained in that body a great part of the war; afterward resumed his duties at Princeton, and died in November. 1794. Francis Hopkinson was born in Pennsylvania, in 1737. He became a distinguished lawyer; was a wit and a poet. He resided at Bordentown, New Jersey, when the war broke out, and was elected to Congress in 1776. He strongly advocated independence, and was an active mem­ber many years. He died in May, 1799. John Hart was a native of New Jersey; the precise time of his birth is not known His pursuit was agriculture, and his mind was strong, but little cultivated by letters. He was a mem­ber of the first Congress in 1774, and soon after signing the Declaration of Independence he re­tired from that body. He suffered much at the hands of the loyalists, died in 1780, and was buried at. Rahway, New Jersey. Abraham Clark was born at Elizabethtown, New Jersey, in 1726. He was a self-taught, en­ergetic man, and in 1776 was elected to a seat in Congress. He was always an active public man. His death occurred in June, 1794. Benjamin Rush was born near Philadelphia in December, 1743. He was educated at Princeton, studied medicine, completed his instructions in Edinburgh, and became a successful physician in Philadelphia. He was elected to Congress in 1776, and from that period until his death, in April, 1813, he took an active part in pub­lic life. He stands in the front rank of American physicians and philoso­phers. Benjamin Franklin was horn in Boston in 1706. He was bred a printer, went to Philadelphia in early life, be­came an active and useful member of society, was often called into public life before the war, and was appointed agent in England for some of the col­onies. He returned to America in 1775, and was immediately elected to a seat in Congress. He signed the Declaration of Independence, and soon afterward departed for France as American Commissioner. He was an active minister abroad, and return­ed to America in 1785. He died at Philadelphia, in April, 1790. John Morton was of Swedish parentage, born in Delaware in 1724. He was a member of the "Stamp Act Congress" at New York, in 1765, filled various civil offices in Pennsylvania, and was a member of the first Congress in 1774 He was one of the committee who reported the "Articles of Confederation," and died soon after that event, in 1778. George Clymer was born in Philadelphia, in 1739. He became a merchant under the auspices of his guardian and uncle, but he preferred sci­ence and literature to his profession. He was elected to Congress in 1778, served several years in that body, and in 1781 was elected a member of his State Legislature. Being a revenue officer at the time of the "Whisky Insurrection," his were of great value in suppressing it. His last public duty was a mission to the Chero­kees, in 1796. His death occurred in January, 1813. James Smith was born in Ireland. He would never give the date of his birth. He was educated at Philadelphia, commenced professional life as a lawyer on the frontiers of Pennsylvania, obtained great influence, and in 1778 was elected a member of Congress. He resumed his pro­fession in 1781, relinquished practice in 1800, and died in 1806 at the supposed age of eighty-six years. George Taylor was also born in Ireland, in 1716. He came to America while a young man, with no fortune, but good character and sound health By diligence he rose from a menial servant to a clerk in an iron establishment in Pennsylvania, afterward married his employer's widow, and became possessed of a handsome fortune He was a member of the State legis­lature, and was elected to Congress in 1776 Be died in February, 1781. James Wilson was born in Scotland in 1742, educated at Edinburgh, came to America in 1766, was a tutor in the Philadelphia College, and there studied law. He was elected to Congress in 1775 In 1789 he was elected Judge of the Supreme Court of the United States, and died in August, 1798. George Ross was born at Newcastle, Dela­ware, in 1730, He studied law, practiced at Lancaster, Pennsylvania, was a member of the Pennsylvania Legislature its 1768, and in 1776 was elected to a seat in Congress. He was very active in public life until the time of his death, in July, 1789. Caeser Rodney was horn at Dover, Delaware, in 1730. He was a member of the "Stamp Act Congress" in 1765, and was speaker of the As­sembly of his State in 1768. He held a chaste and fluent pen, and it was much employed in the service of his country. He was a member of the first Congress in 1774, and remained in that body until the close of 1776, when he took the field as a brigadier-general. He was President of his State, but a cancer in his cheek soon in­capacitated him for business and terminated his life early in 1783. George Read was born in Maryland, in 1734, and was educated at Philadelphia. He studied law, commenced business at Newcastle, Dela­ware, was a member of the State Legislature, and was elected to Congress in 1774. He was appointed an Admiralty Judge in 1782, was a member of the first Constitutional Convention in 1785, was made Chief Justice in 1793, and died in the autumn of 1748. Thomas M’ Kean was born in Chester County, Pennsylvania, in 1734. He was educated at Philadelphia, became a lawyer, was a member of the "Stamp Act Congress" in 1765, and was elected to the first Continental Congress for Delaware in 1774. He was president of Congress in 1781, was Chief Justice of Pennsylvania for twenty years, and in 1799 was elected Gov­ernor of the State. He died in June, 1817. Samuel Chase was born in Maryland, in April, 1741. He was educated at Baltimore, studied law, practiced at Annapolis, became eminent and popular, and in 1774 was chosen a member of the Continental Congress. He remained in that body until 1778. He removed to Baltimore in 1786, was appointed Chief Justice, first of the Criminal Court, and then of' the State, and in 1796 was raised to the bench of the Supreme Court of the United States. He held the office fifteen years, and died in June, 1811. Thomas Stone was born in Maryland, in 1740. His profession was a lawyer, and in 1774 he was elected to a seat in Congress. He remained a member until 1778, and was again elected in 1783. In 1784, he was elected President of Congress, pro tempore. He died at Port To­bacco, Maryland, in October, 1787. William Paca was born in Hartford, Mary­land, in October, 1740. He was educated at Philadelphia, and studied law at Annapolis. In 1771, he was elected to the State legislature, was a member of the first Congress in 1774, and remained in that body until 1778, when he was elected Chief Justice of Maryland. He was chosen Governor of the State in 1782; was made a district judge in 1789, and died in 1799. Charles Carroll, of Carrollton was born at An­napolis, Maryland, in September, 1737. His fa­ther being a Roman Catholic, he was sent to Franco to be educated. He returned to Amer­ica a finished scholar, in 1765, soon afterward took an active part in public affairs, and was elected to a seat in Congress in 1776. He re­tired from Congress in 1778, was elected United States Senator in 1789, and went into private Life in 1801. He died in November, 1832, at the age of ninety-four years, the last survivor of the signers of the Declaration of Independence. George Wythe was born in Elizabeth county, Virginia, in 1726. Being wealthy, he chose the profession of the law as an avenue to distinction. He was a member of the colonial legislature of Virginia, and in 1775 was elected a member of Congress. He suffered much loss of property during the war. In 1777 he was Speaker of the Virginia Assembly, and was appointed Judge of the High Court of Chancery. He was afterward appointed Chancellor, filled the office for more than twenty-five years, and died in June. 1806. Richard Henry Lee, the Cicero of the Congress of 1776, was born in Westmoreland, Virginia, in January, 1732. He was educated in England, and soon after his return was elected a member of the Virginia House of Burgesses. He was a mem­ber of Congress in 1774, and remained in that body during a greater part of the war. He was a United States Senator in 1789, and died in June, 1794. Thomas Jefferson was born at Shadwell, Al­bemarle County, Virginia, in April, 1743. He was educated at William and Mary College, was member of the Virginia Legislature before the Revolution, was elected to Congress in 1775, and in 1776, as one of the Committee appointed for the purpose, wrote the Declaration of Inde­pendence. He was afterward Minister to France, the first Secretary of State under Washington, elected President of the United States in 1801, and died at Monticello, Virginia in July 1826. Benjamin Harrison was a native of Virginia was educated at William and Mary College, and began his political career in the Virginia legislature in 1764. He was elected to Congress in 1774, where he remained until 1777. He was chosen Speaker of the Virginia Assembly in 1778, and held that office until elected Governor in 1782. He died in April, 1791. The late President Harrison, who was born at his father's house at Berkeley, on the James River, was his son. Thomas Nelson, Jr. was horn at York, Vir­ginia, in December, 1738. He was educated in England, entered into political life soon after his return, and was elected to Congress in 1775. He held a seat there during the first half of the war, and in 1781 succeeded Jefferson as Gov­ernor of the State. He was actively engaged in military life when Cornwallis surrendered at Yorktown. Governor Nelson died in January, 1789. Francis Lightfoot Lee was born in Westmore­land, Virginia, in October, 1734. He was edu­cated at home. He was elected to a seat in the House of Burgesses in 1765, and continued a delegate until 1775, when he was sent to Con­gress. He retired to private life in 1779, and died in April, 1797. Carter Braxton was born in Newington, Vir­ginia, in September, 1736. He was educated at William and Mary College, went to England, and remained there until 1760, when he was called to a seat in the Virginia House of Bur­gesses. He was distinguished during the Stamp Act excitement, and in 1775 was elected to the Continental Congress. He was a member of the Federal Congress, and remained in active life until his death in October, 1797. William Hooper was born at Boston, Massa­chusetts, in June, 1742. He was educated at Harvard, studied law, and commenced its prac­tice at Wilmington, North Carolina, in 1767. He was a member of the State legislature in 1773, was an active patriot, and in 1774 was elected to a seat in the Continental Congress. Soon after signing the Declaration of Independ­ence, he resigned his seat, and returned home. He was elected a judge in 1786, and died in October, 1790. Joseph Hewes was born at Kingston, New Jersey, in 1730. He was educated at Prince­ton, became a merchant, and at the age of thirty years, settled at Wilmington, North Carolina He was a member of the Colonial Assembly for several years, and in 1774 was elected to a seat in Congress. He was compelled to leave that body, by sickness, in 1779, and died in Novem­ber of that year. John Penn was horn in Caroline County, Vir­ginia, in May, 1741. His early education was defective, but a strong mind overcame all obsta­cles. He studied law, went to North Carolina in 1774, was an active politician and an eminent lawyer, and in 1775 was elected to a seat in Congress. He returned home in 1779, retired from public life in 1783, and died in September, 1788. Edward Rutledge was horn in Charleston in November, 1749. He was educated at Princeton, completed law studies in England, returned to America in 1773, and in 1775 was elected to Congress. He was a member until the close of 1776, and again in 1779; and in 1780 he was made a prisoner in Charleston, when the city was surrendered to the British He was elected Governor of the State in 1798, and died in Jan­uary, 1800. Thomas Heyward, Jr. was born in South Car­olina in 1746. He completed law studies in En­gland, and soon after returning to America, en­gaged in political life. 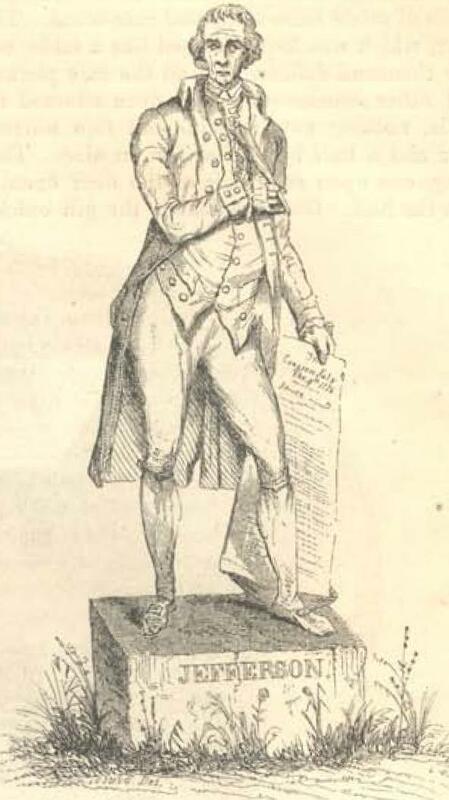 He was elected to Con­gress in 1775, and left that body in 1778 to fill a judicial station in his own State. He com­manded a battalion of militia during the siege of Charleston in 1780, was made prisoner, and sent with others to St. Augustine. He retired from public life in 1798, and died in March, 1809. Thomas Lynch, Jr. was born in South Caro­lina in August, 1749. He was educated in England, studied law in London, returned home in 1772, became an active politician, and was elect­ed to Congress in 1775. He left that body in the summer of 1776 on account of ill-health and, with his wife, sailed for the West Indies in December. The vessel was never heard of afterward. Arthur Middleton was horn in South Carolina in 1743. He was educated in England, returned to America in 1773, was an active republican, and in 1776 was elected to a seat in Congress He was in Charleston in 1780, and made pris­oner at the surrender. The fires of the Revolu­tion melted away a large portion of his ample fortune. He remained active in public life until his death, on the first of January, 1789. Button Gwinett was born in England in 1732. 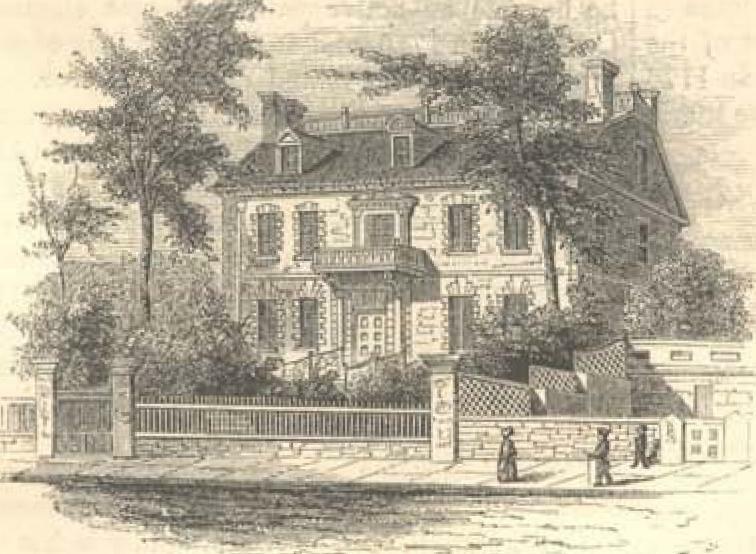 He was a well-educated merchant, settled at Charleston when he first came to America, and afterward purchased a large tract of land in Georgia, and made that his permanent resi­dence. He was elected to Congress in 1776, afterward assisted in framing a State Consti­tution for Georgia, and was elected first govern­or under it. He had a quarrel with General M'Intosh, a duel ensued, and Gwinnett was mortally wounded in 1779. Lyman Hall was born in Connecticut in 1721. He was educated at Yale, studied medicine, and went to South Carolina in 1752. He was a practicing physician in Georgia when the war broke out, and was sent a delegate to Congress by the parish of St. John's, in 1775. He was soon afterward elected a general delegate by a State Convention. He was at the North until after the evacuation of Savannah in 1782, when he returned, and found all of his property confis­cated to the Crown. He was elected Governor the following year, and died in Burke County in 1784. George Walton was born in Frederick County, Virginia, in 1740. He was bred a mechanic, but at the age of twenty-one he studied law, and commenced its practice in Georgia. He was elected to Congress in 1776, and returned home in 1778. He was in military service at Savan­nah, and was wounded and made prisoner there when it surrendered to the British. He was elected Governor of the State in 1779, and was again sent to Congress in 1780. He was after­ward Governor, Chief Justice, and United States Senator. He died at Augusta in February, 1804. 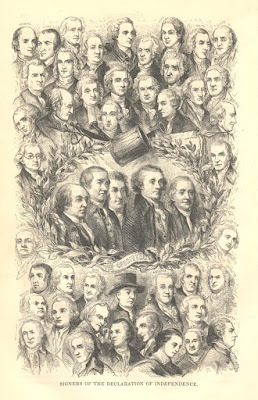 These compatriots of Mr. Jefferson in the Congress of 1776 were chosen by the people to represent them, because of their moral and intel­lectual cultivation, their social position, their prudence and integrity, and their boldness in ad­vocacy of the inalienable rights of the colonists. Many of them were men of great experience in public affairs; all thoroughly understood the nature of the quarrel with the Mother Country, and saw clearly the proper remedies for the pol­itical evils which were hourly accumulating. They were not hot-headed revolutionists, moved by seal without knowledge, with no other defin­ite object but change. They were proud of their origin - proud of the honor of forming a part of the great British Empire, then foremost among the nations as the conservator of constitutional liberty, and more truly great than any other, because more free and enlightened. Yearning for reconciliation, they petitioned and remonstrated, year after year, for a redress of grievances, with sincere loyalty of feeling, and an earnest desire to maintain the security and glory of the British realm. They felt, as they declared, "that gov­ernments, long established, should not be changed for light and transient causes." But they also felt and declared, that "when a long train of abuses and usurpations, pursuing invariably the same object, evinces a design to reduce them under absolute despotism, it is their right, it is there duty to throw off such government, and to pro­vide new guards for their future security." Such an exigency existed, when they declared the colonies "free and independent" States, and ap­pealed to past history to vindicate the righteous­ness of their act, and to God for the rectitude of their intentions. 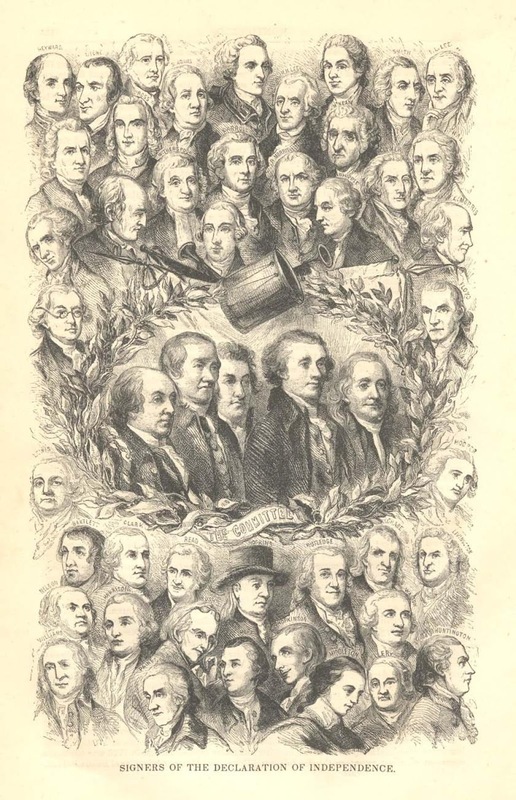 Among the signers of the Declaration of In­dependence, were men engaged in almost every prominent pursuit of life. There were twenty-four lawyers; fourteen farmers, or men whose only business avocation was agriculture; nine merchants; four physicians; one Gospel minister, and three who were educated for that profes­sion, but chose other fields of usefulness; and one a manufacturer. A large proportion of them lived to the age of three score and ten years. Three of them were over ninety years of age when they died; ten over eighty; eleven over seventy; fourteen over sixty; eleven over fifty; and six over forty-four. Mr. Lynch, who was lost in a vessel on its way to the West Indies, was only about thirty years of age. The aggre­gate years of life of the whole band of patriots, was three thousand six hundred and eighty-seven. The sculpture of Omnipotence, the rugged Twins of Time. Among the yet unbroken links that guard our liberty. Still let us with fresh bands of love the sheaf of Free­dom bind!" Harper’s New Monthly Magazine. July 1853.